New Delhi: Dr. Ramdas M Pai, Chairman Emeritus – Manipal Education and Medical Group and President & Chancellor of Manipal Academy of Higher Education (MAHE), was awarded the ‘Lifetime Achievement Award 2018’, in recognition of his enormous contributions in the fields of Education and Healthcare by the Federation of Indian Chambers of Commerce & Industry (FICCI) in New Delhi on 30th October 2018. Dr Pai, a recipient of Padma Bhushan, “Is an epitome of dedication and perseverance, who has contributed immensely at national and international level. 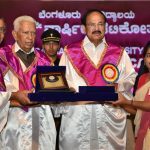 He has spent his entire life working with all the Group of Institutions and his name has till date been synonymous with perseverance, dedication and attaining a larger purpose in all human endeavor,” says he citation. 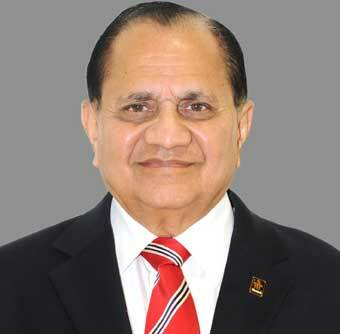 Dr Ranjan Pai, Chairman MEMG said, “This is a proud moment for us. 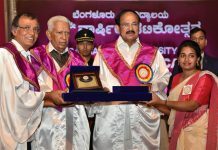 I take this opportunity to congratulate him personally, as well as on behalf of the entire Manipal family. His untiring industry, dedicated perseverance and devotion to his causes have won him this award and other accolades earlier. May his unremitting endeavor go on with undiminished vigor”. “He has contributed immensely to making our Manipal Brand a respected and trusted name not just in India but internationally as well. His principled stance, his unwavering commitment to promoting affordable and accessible education and healthcare has greatly benefited the public at large, Dr. Ranjan added. 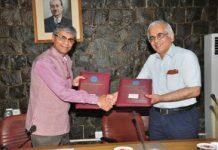 “His quiet and unassuming generosity through the Manipal Foundation, stand eloquent testimony to his care for the vulnerable sections of our society. We are privileged to have his guidance thus far in our journey and we seek his continued guidance as we take many more steps forward in realizing the dreams of late Dr TMA Pai and Dr Pai himself,”he added. “On our part we wish to assure Dr Pai that we will continue to build on the strong platform that he established for us through his dedication and sincerity spanning many decades”.